French police arrested Wednesday a notorious gangster who had been on the run for three months after an audacious Hollywood-style helicopter jailbreak. 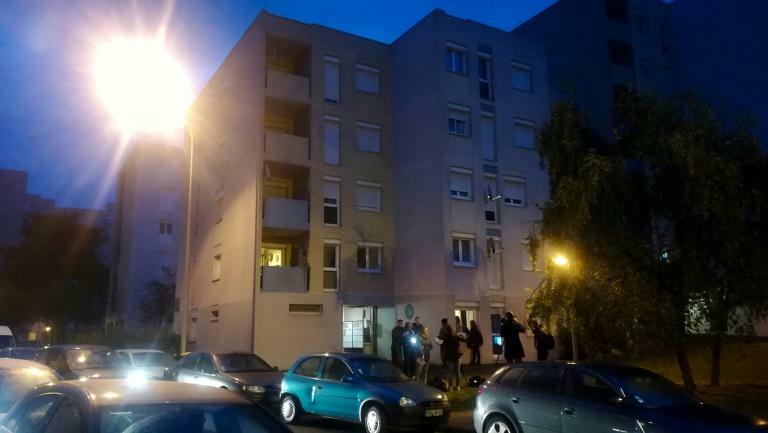 Dozens of masked police swarmed a public housing estate in the Oise region north of Paris in the early hours, nabbing 46-year-old Redoine Faid along with four other people in a raid on an apartment. Faid's brother Rachid and two of the gangster's nephews were arrested along with the apartment's landlady, according to police sources. 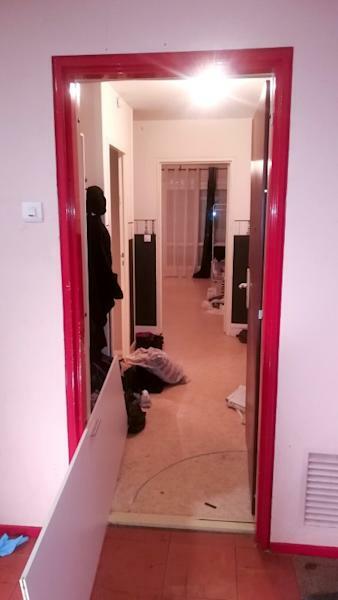 Two guns were found in the flat, while two other alleged accomplices were arrested during a simultaneous raid in the Paris region, sources said. At around 3am, "I heard a racket," said Alliou Diallo, who lives on the ground floor of the small building, three floors below the apartment where Faid was holed up. "I saw around a hundred police wearing masks," he said, adding of Faid: "I never thought he could be here." Prime Minister Edouard Philippe hailed the "meticulous" police work that led to the arrests, saying in a tweet that they had pulled off the high-stakes operation "without any clashes". But another local resident, Farah Ziane, was less happy -- the police initially stormed her grandfather's apartment by mistake. "They broke down my 86-year-old grandad's door, it's shameful," she said, as the elderly man stood next to her, looking completely lost. Upturned boxes lay in the corridor, while the bolt to the door had been smashed. A massive manhunt was launched after Faid's daring July 1 escape, in which two heavily armed accomplices used smoke bombs and angle grinders to break through prison doors and whisk him to a waiting helicopter. Faid, a career criminal with multiple convictions for armed robbery, was sprung from the jail in Reau, 50 kilometres (30 miles) southeast of Paris. 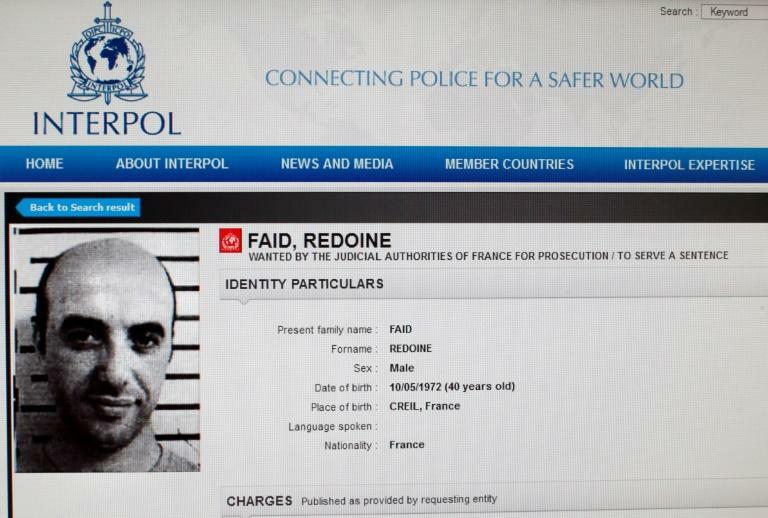 Around 100 elite police were deployed to track down Faid, who has cited movie baddies such as Tony Montana in "Scarface" as an inspiration and said he discovered his "calling" at the age of 12. Scattered furniture and clothes could be seen on the floor of the apartment on Wednesday morning, along with police forensic gloves. Faid, who previously escaped from prison in 2013 before being captured six weeks later, had been serving a 25-year term over a botched 2010 heist in which a policewoman was killed, though he claims her death was accidental. The spectacular jailbreak saw two men posing as flight-school students, who had already taken an introductory flight, force a helicopter instructor at gunpoint to fly them to the jail. The terrified pilot landed in the courtyard -- the only part of the prison not fitted with anti-helicopter nets. A pair of black-clad men armed with assault rifles then alighted and set off smoke bombs before breaking into the visiting room, where Faid was meeting with his brother who was later taken into custody. The wardens, who were unarmed, fled and raised the alarm. But within 10 minutes Faid was gone, cheered on by his fellow inmates. The helicopter was found shortly afterwards in a suburb northeast of Paris, along with the pilot, who had been beaten and was taken to hospital in a state of shock. Several days after his escape investigators found a stash of guns, masks and a cement cutter in the Oise region where Faid grew up, which they believed belonged to his gang. Faid narrowly avoided capture on July 24 and had to abandon a car containing explosives after he was identified as one of two people who sped away when police tried to carry out a security check on their car north of Paris. In early September police carried out searches targeting the robber's relatives, but made no arrests. The escape, which brings to at least five the number of jailbreaks in France in the past three decades involving helicopters, prompted a heated debate about whether the country's prisons are secure enough. Netting has since been fitted over the courtyard where Faid's helicopter landed to whisk him away.